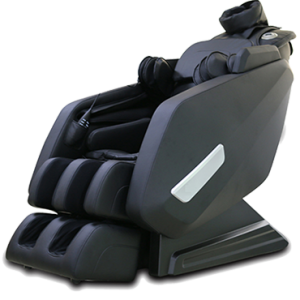 – Sync Movement Design – Base on the principle of Fall-to-Sleep design, when the backrest is lowered backwards, armrest will adjust automatically to reach appropriate massage posture. – New Infrared Body Scan Technology – Infrared sensor technology can precisely detect different body type. – Pelvis Swaying Massage – This mode is designed to gently stretch and flex the muscles around the pelvis and the lower body. 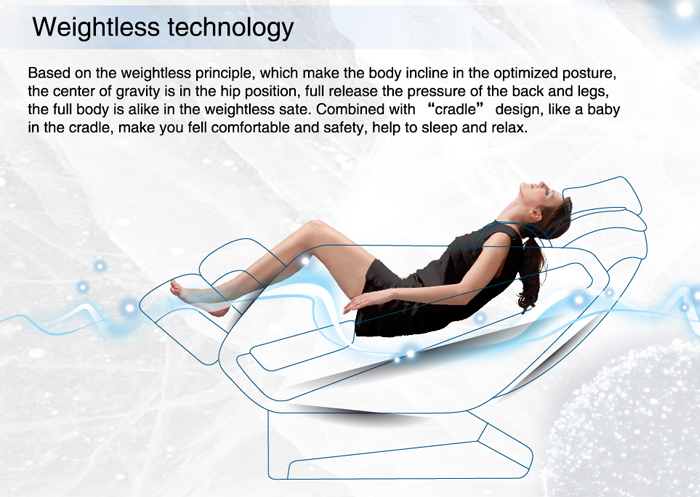 – Waist swaying Massage – Two airbags support the whole waist to effectively relieve tiredness and shape waistline. 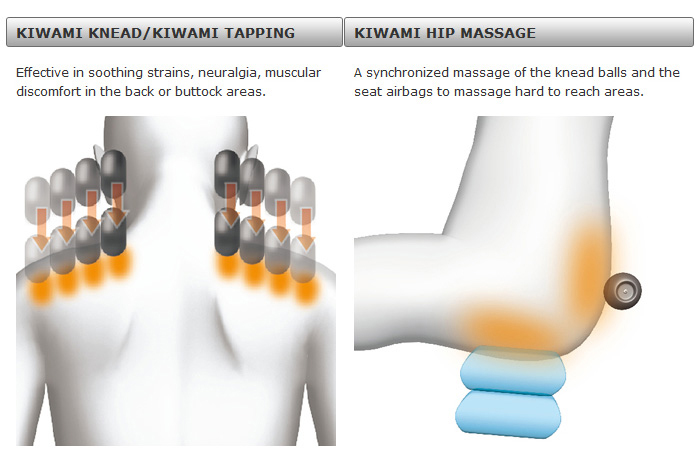 – Heating Massage – Far-infrared heating function at the waist, knee and ankle joints. 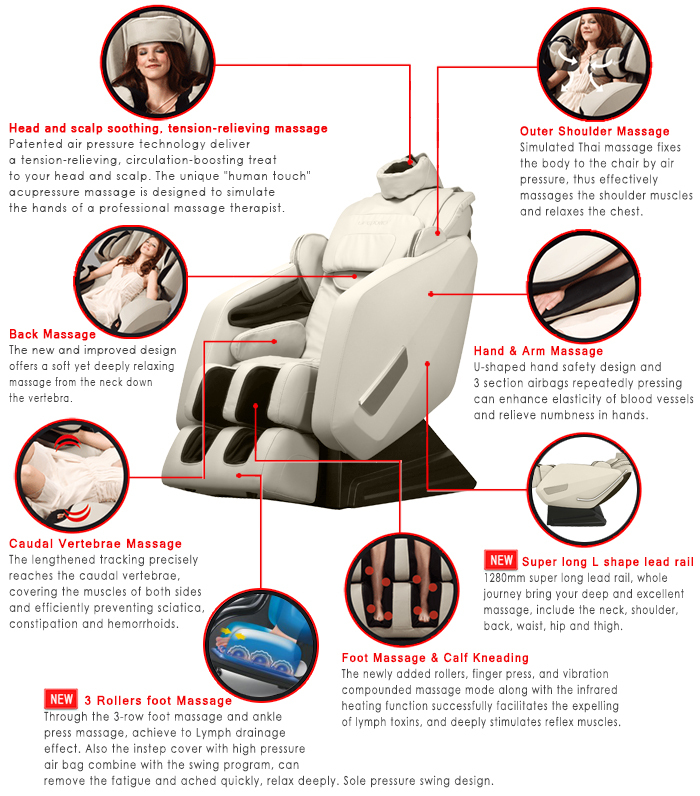 – Powerful 13 Motors System – Delivers the most powerful realistic full body massage. 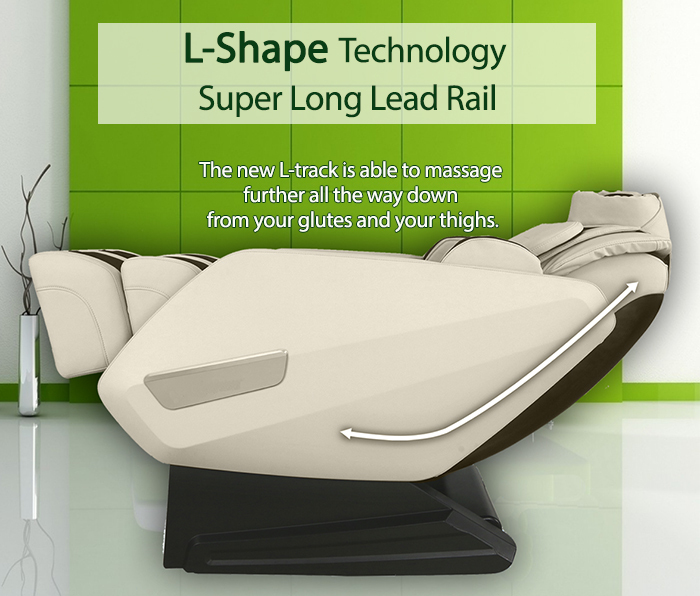 – Intelligent 4 Roller System – Flexible, conforms to back contour. 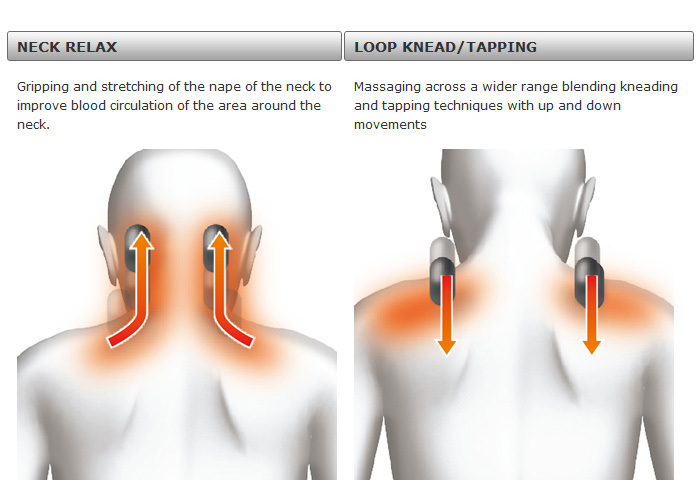 – Special Neck Massage – Targeted directly on stress relieving “tsubo points” on your neck. 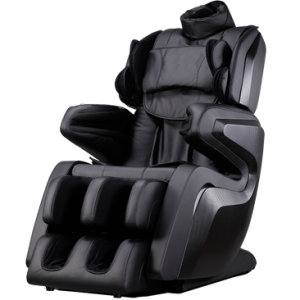 – The deepest reach of all massage chairs today. It can actually hit the tailbone! 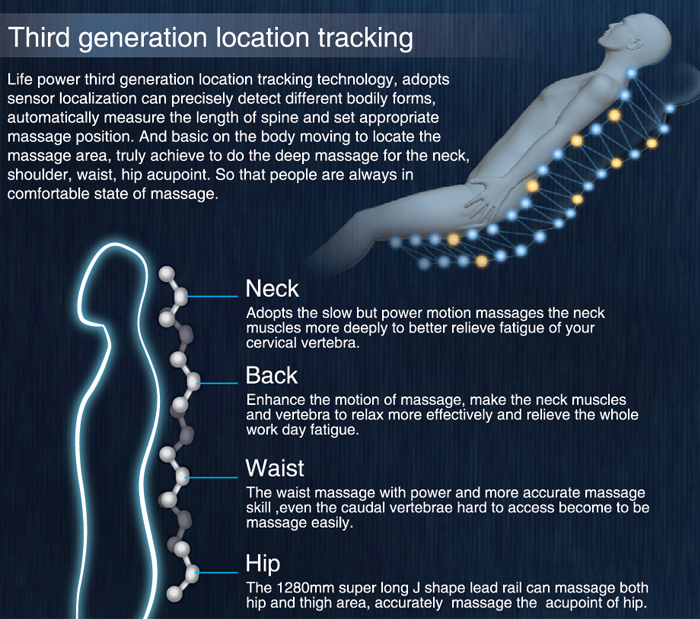 – Ultra-Long Range Massage – Longest stroke length of 31″. Reaches high up in the neck and low down into the tailbone section. 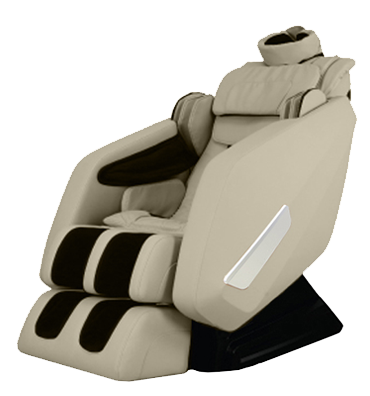 – Fatigue Relieving Air Massage – 46 Air bags are installed in for the head, shoulders, arms, hands, legs, thighs and feet to massage the lower half of the body to promote stimulation of blood to the lower extremities. 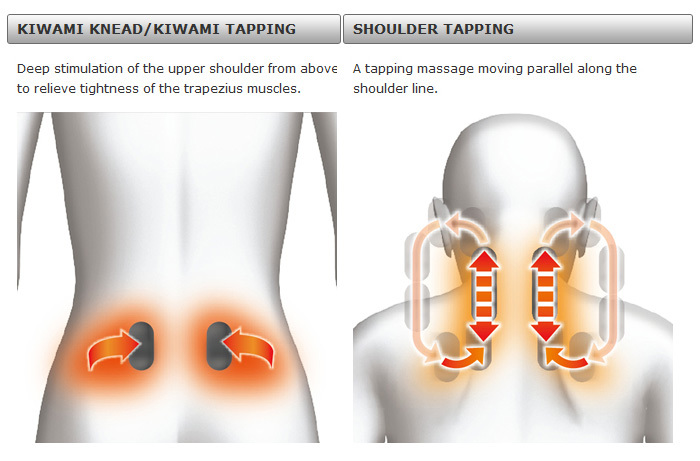 – Adjustable air massage can be adjusted 3 levels. 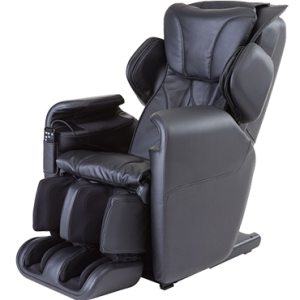 – American-sized Recliner – Built for toughness and durability to last. – Full Control of all the functions at your finger tips. 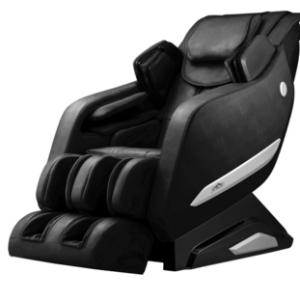 Customize massages to best meet your needs with the easy to use one-touch controls. – Easy-roll Casters – Design of wheels can be moved easily. 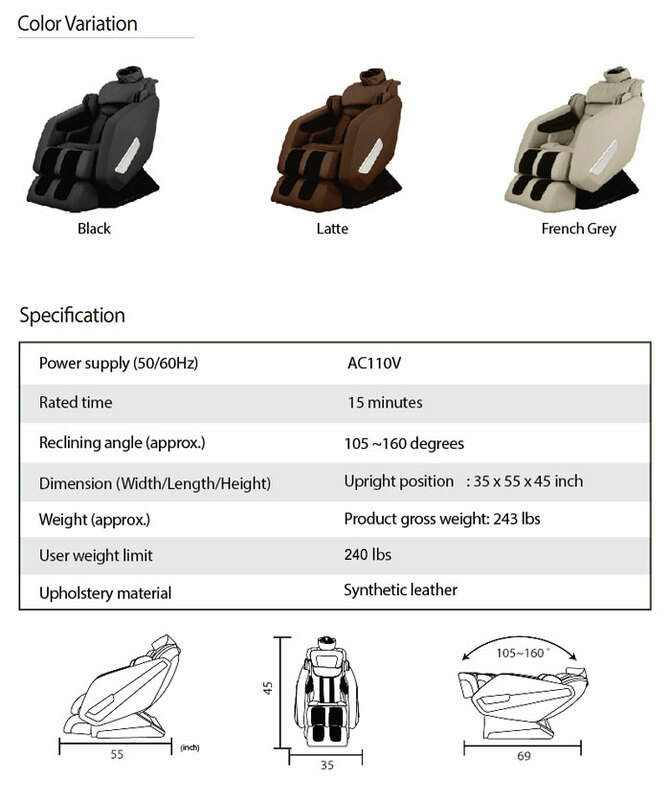 – Approved by CE, UL, FDA, ETL (US highest safety department), and ISO 9002. – 3 Years Warranty which includes full coverage of all parts.